This sensor allows you to sense motion, usually any human movement in its range. 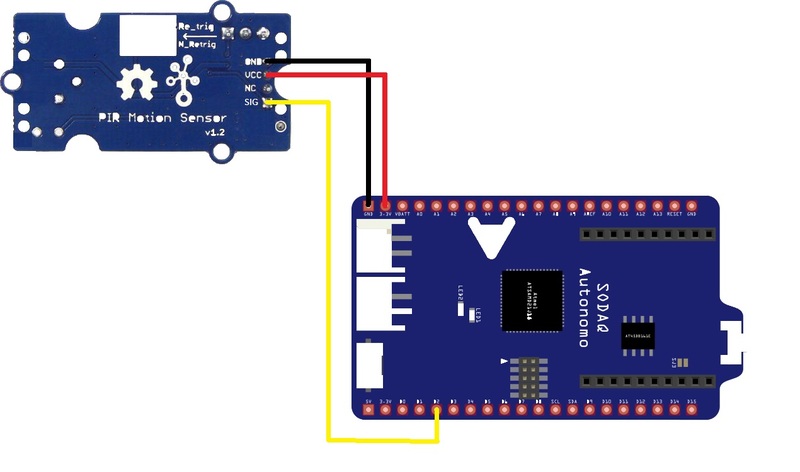 Simply connect it to the Grove and upload the sketch below while connecting the RGB LED ,when the sensor senses movement in its detecting range, the sensor will output HIGH signal on its SIG pin which will set the LED on. 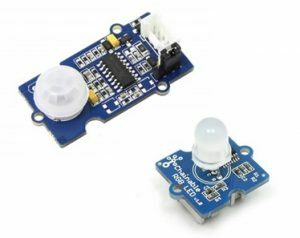 We use this library for RGB Chainable LED, while we simply use the digital read without any additional libraries for sensing the movement of the PIR motion sensor. // Connect CI -> D4 pin and DI -> D5 pin. // Instantiate an object of class ChainableLED taking parameters CI,DI and Number of LED in the chain.